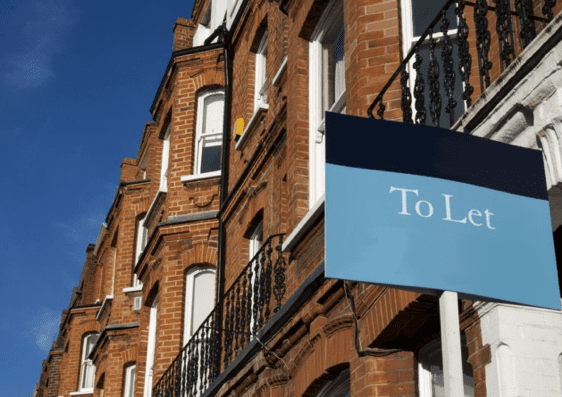 The continuing increase in people who choose to rent their homes rather than buying has led to an inevitable rise in those who are considering a buy to let investment. This can prove to be a very sensible option, because it produces a regular monthly income while maintaining ownership of a property that will hopefully increase in value in the coming years. Low interest rates over the past few years has made saving a less attractive proposition, so purchasing a flat or house and renting it out can seem to be a good strategy. There are many advantages to be had, but you need to careful in order to avoid potential pitfalls. Here are four tips to help you make the most of taking this route. While the benefits are there for all to see, you need to consider the disadvantages that can come with being a buy to let (BTL) investor. You will of course be responsible for ensuring the property is safe, healthy and habitable, and to be ready to tackle any maintenance issues that could arise. Always consider this when trying to work out your potential profits. Because you won’t be living in the property yourself, you won’t necessarily be tied to a specific area. Having the ability to look further afield opens up more possibilities, and you will be able to think about factors such as schooling for tenant families, local amenities, commuter links and shopping facilities. Think in advance about the benefits that renters may be able to enjoy. As a BTL investor, you are of course not looking to live in the property, so you can afford to be extra choosy. If the place doesn’t tick all the right boxes, simply walk away and invest elsewhere. When the time comes to negotiate a price, you’ll be seen as a desirable buyer, if only because there will be no chain beyond you. Therefore, make sure you haggle for a price that suits you. 4. What type of landlord will you be? A great many investors use agents such as ourselves to liaise with tenants and to handle the day to day affairs of the property. Here at James Neave, we offer a great many houses and flats to buy in Walton-on-Thames, and in some cases we become the managing agent when a place is bought as a BTL investment. Like all agents, we charge a fee for our services, but in return we take many of the headaches away from the landlord. James Neave the Estate Agents specialise in all estate agency services in Walton-on-Thames and the surrounding area. If you’re considering a BTL investment, have a chat with our friendly team today. Here at James Neave, we’ve always been well aware of the many benefits that come from living in Walton-on-Thames. The town offers a high standard of living to all communities, and this is one of the reasons why the location has become such a magnet for people of all ages and from all walks of life. 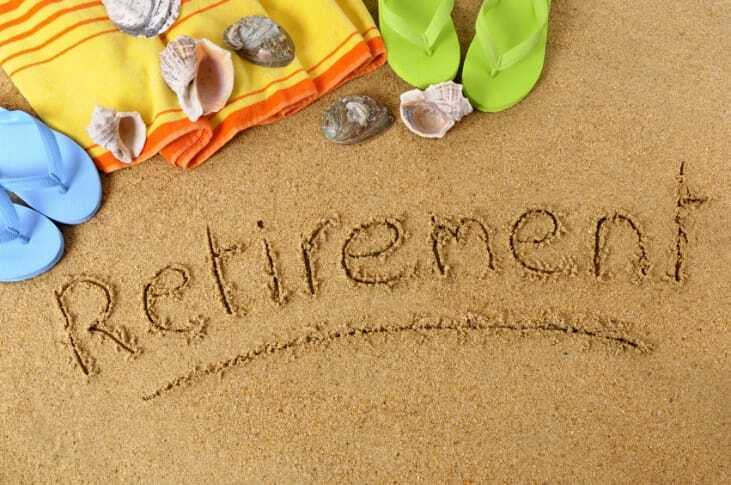 Among many other things, we feel Walton is a wonderful place to retire to, and here are five reasons why. Retirees who live in Walton can enjoy an active lifestyle, thanks in part to a great range of amenities throughout the town. The highly rated Xcel Leisure Centre, located in Waterside Drive, is home to a swimming pool and a gym, and it offers opportunities to try your hand at a range of sports, including badminton, squash, and, for the over-50s, walking netball. There’s nothing more invigorating than a lovely long walk in the sunshine, and here in Walton we’re lucky enough to have the picturesque River Thames right on our doorstep. There are also several wonderful parks and open spaces to be enjoyed in the area, including Elmgrove Recreation Ground, Ashley Park and Waterside Drive Open Space. The increasing popularity of coffee shops in the UK is reflected perfectly in the area around Walton High Street. Here you’ll find some excellent examples of coffee culture, including both famous name chains and independent one-off enterprises. These friendly, welcoming establishments provide the perfect opportunity for a catch-up with friends and neighbours. There are plenty of opportunities to shop till you drop in Walton-on-Thames, both in the centre of town and on the outskirts. The Heart is, well, at the heart of the place, and it brings you more than fifty stores and restaurants all in one convenient location. And if you’re looking for flats in Walton you might want to consider the properties that are part of the whole complex. Most retired people prefer not to think about the daily commute, especially perhaps those who trudged up to London on a daily basis for many years. Despite that, however, it’s still reassuring to know that the centre of the city is so easy to get to. Walton-on-Thames station is on the mainline, and it provides fast, direct links to London Waterloo. The retirement community in Walton-on-Thames is a thriving one, and here at James Neave the Estate Agent we’re always happy to talk about the benefits of moving to the area. 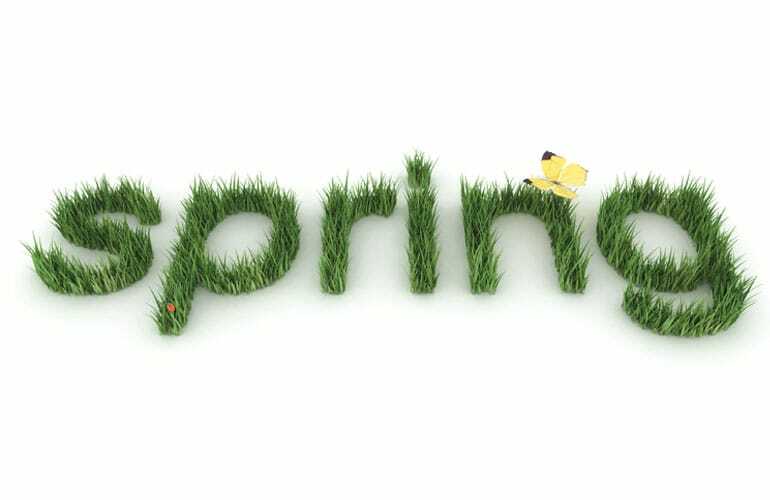 There have been many reports in the media over the years about when would be the optimum time to have a property on the market, and although there are some differences of opinion the general consensus seems to be that spring is the best time overall. There are several reasons for this, and here are four of them. Most of us go away for a holiday in the summer, and as a result of this exodus many potential vendors are reluctant to deal with selling a home when they’re about to head off to sunnier climes. For an alternative option, many sellers look to make a sale in the spring, or perhaps aim to put their property on the market when the autumn comes around. Summer can become something of a stalemate for many. With plenty of daylight hours and hopefully some much-needed good weather at this time of year, the conditions are ideal for showcasing a home. Potential buyers can see your garden starting to bloom and every room can benefit from incoming sunlight through the open windows. Here at James Neave, we see some highly impressive houses for sale in Walton in March, April and May every year. There is often a sense of uncertainty in the property market during the winter months, and of course many experts will be forecasting trends for the year ahead at this time. By the time spring is upon us, these trends and fluctuations will have started to stabilise, giving some new confidence to the market as a whole. This often leads to a sense of buoyancy in the industry. One of the most important aspects of the way the market works in spring is the sense of happiness – and possibly relief – that arrives as we finally say goodbye to a harsh winter. With longer days and better weather comes a sense of optimism in most of us, and for potential buyers that often means getting out there and viewing properties after a dormant winter. No wonder this is such a busy time for the market. Here at James Neave the Estate Agent, we specialise in selling and letting flats and houses in Walton and the surrounding area. Have a chat with us today to find out more. There has been a great deal of publicity about overall property prices in the media in recent weeks, with several newspapers trumpeting the fact that we have seen a decrease nationally for the first time in a couple of years. While the figures are interesting, as is often the case the papers have relied on a simplified version of the true facts. The reason for the overall price drop is an unusual one, in that the averages fell because house prices in London, so often a barometer for the rest of the country, were on the downturn. Given the fact that prices in the capital have become almost out of control in the past, a small downturn is perhaps not surprising at all. Here in Surrey, house values have been steadily increasing for some time, and they remain healthy and buoyant, even in the run-up to a General Election. At James Neave, we have a wonderful selection of houses for sale in Walton-on-Thames and the surrounding area, and we expect 2017 to continue to see a small but steady growth. Several regions of the UK have seen prices still increasing, despite the focus on the situation in London. In Wales, the West Midlands and various regions of Scotland, property values have seen a noticeable rise, but the capital’s price drop has affected the overall picture. One of the reasons for the stability that Surrey has been showing over the years lies in the desirability of the county. Commuter links into the capital are extremely good, schools in the area are excellent, and of course there are a great many pretty market towns which remain as popular as ever with both residents and incoming buyers. Houses and flats in Surrey are always in great demand, and there is no reason to suspect this will change in the foreseeable future. While the announcement of a snap General Election will have an overall effect on the property market in the UK, albeit only a small one, here in Surrey we have noticed virtually no change at all. If there are potential buyers waiting to sell later in the year, there are others who are keen to carry on regardless. Announcements of a slight fall in property prices around the UK should take into account the understanding that regional variations indicate very little has changed. They say there are very few real surprises in life, but Theresa May’s snap election announcement on Tuesday came as a genuine shock to everyone. We weren’t due to have another General Election until May 2020, but the government have decided to go the polls in June 2017 instead, partly perhaps in a bid to ensure the whole nation gets behind Brexit. In the run-up to most elections, the nation’s markets tend to see a little upheaval, but this is unlikely to be the case this time around. Unlike in previous instances, the time between the announcement and the event itself is short, just fifty days or so, and this is likely to mean the impact will be negligible. The property market in the UK has been stable for a number of years now, and this looks set to continue right up until the election and beyond. House prices, especially in the south-east of England, have been rising steadily but not dramatically, and we see no reason to expect any changes in this area. For those who have a house or flat for sale at the moment, it will surely be a case of carry on and don’t worry. It may be that people who are thinking about selling but are yet to go through with the process will decide to wait and see what happens. This is understandable, perhaps, but in truth few changes are likely to occur between now and June 8th, and indeed from now until the end of the year. If the winners of the General Election are planning any policy alterations, we will hear about them in the coming weeks. Hear at James Neave, we always keep our finger on the pulse, and we will continue to monitor the market as the General Election gets ever closer. We have a great range of flats and houses for sale in Walton-on-Thames and the surrounding area, and of course we also have a broad selection of properties to rent. If you’re thinking about selling or renting a property at the moment, we will be more than happy to discuss the current state of the market in the local area. In general, we would expect the industry to be only slightly affected by the implications of a General Election. As always, if you have any questions, our experts will be happy to answer them. Was it a missed opportunity to ignore Stamp Duty reform?